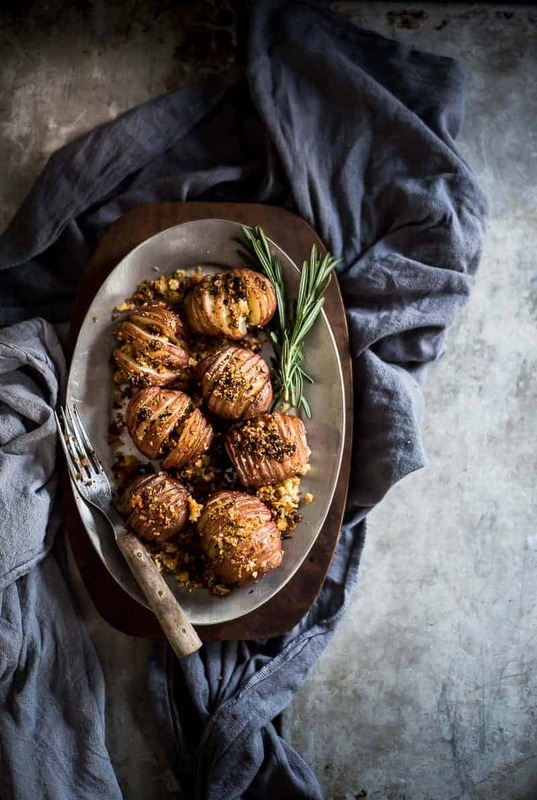 Have you heard of these “Hassleback Potatoes”? I’ve been seeing them occasionally on Pinterest for a while now but, to be honest, they looked kind of intimidating! So pretty, delectable even- but I wasn’t sure I wanted to take them on. I am really into easy, simple and QUICK recipes so the fact that these would take an entire hour to cook turned me off for a while. This week when I saw some as I was flipping through a magazine I took it as a sign that it was time! I decided on my own specially herbed recipe and got cooking. Welllll…. Oh Emmmm Geeee! I can not actually believe it took so long to get these Parmesan Hassleback Potatoes on my plate- where they did not last for long by the way because they were absolutely delicious!!! The slicing requires a bit of finesse but after a few mishaps I got the hang of it and was well on my way. The biggest thing to remember is not to slice all the way through the potato. In hindsight- you could put the potato between 2 objects (like plates or other utensils perhaps) that would keep the knife from cutting clear through. 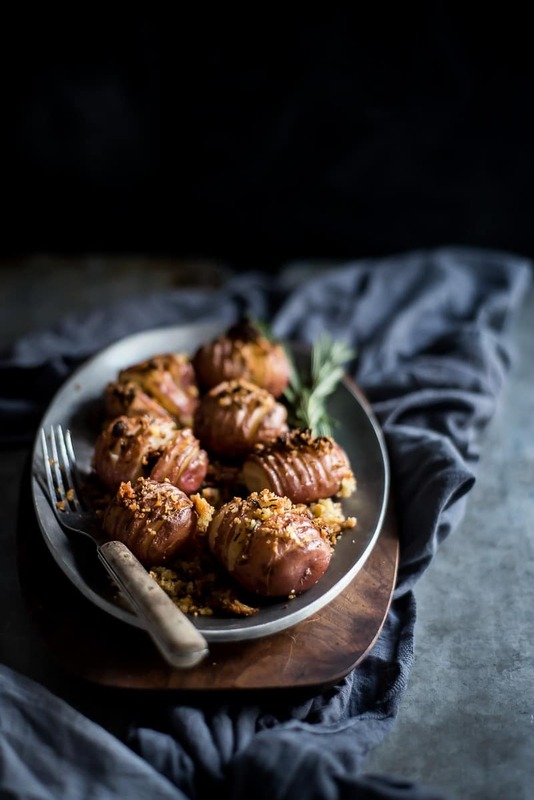 Parmesan Hasselback Potatoes are perfect for a rich appetizer or a delicious side! Prepare potatoes by making consistent slices ⅛" apart across the entire top but not through to the bottom so the potato stays intact. Place cut potatoes in on oven safe dish and drizzle with ½ (2 tbsp) of your melted butter. Sprinkle with salt and pepper to taster. Cover with foil and bake on middle rack 30 minutes. Meanwhile, mix together panko, parm, roemary, garlic and remaining butter until thoroughly combined. Use 2 spoons to gently squeeze the sides of the potatoes so the slices open a bit. Spoon your parm mixture over the potatoes getting it into the crevices as much as possible. They turned out so tasty! I did actually turn my broiler on for the last 2 minutes to get a bit of extra color on the tops but this is completely optional. Careful to set a timer or watch them closely so they don’t burn. Let me know what you think of this recipe by leaving a comment for me. 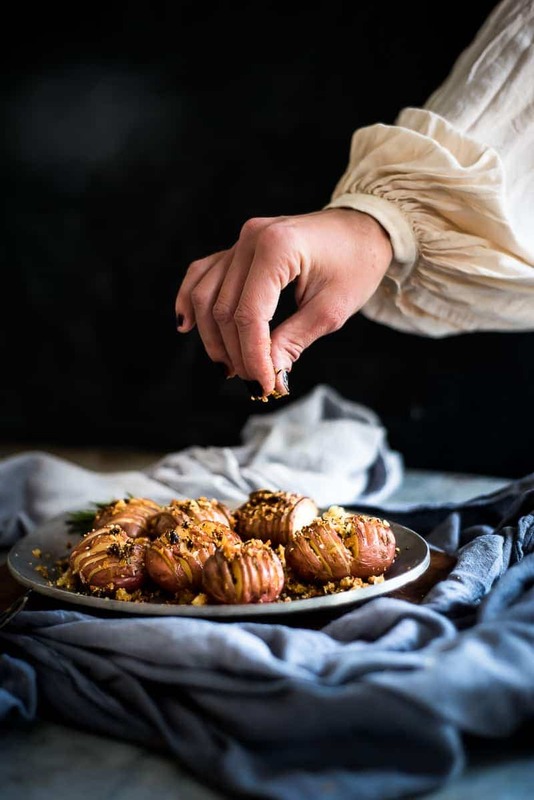 Need an appetizer fit for entertaining or a date night in? 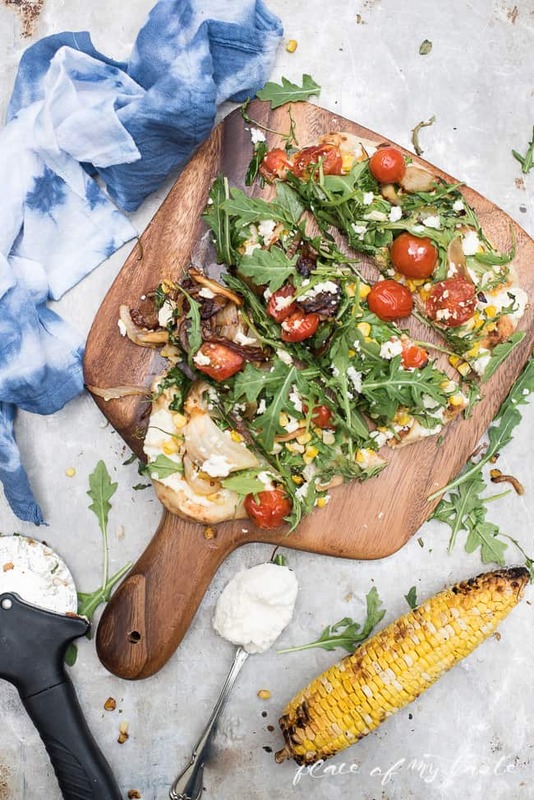 Try my Summer Veggie Flatbread for a fresh taste of this coming season! Thanks for checking out this recipe- come back soon and explore all Place of My Taste has to offer! 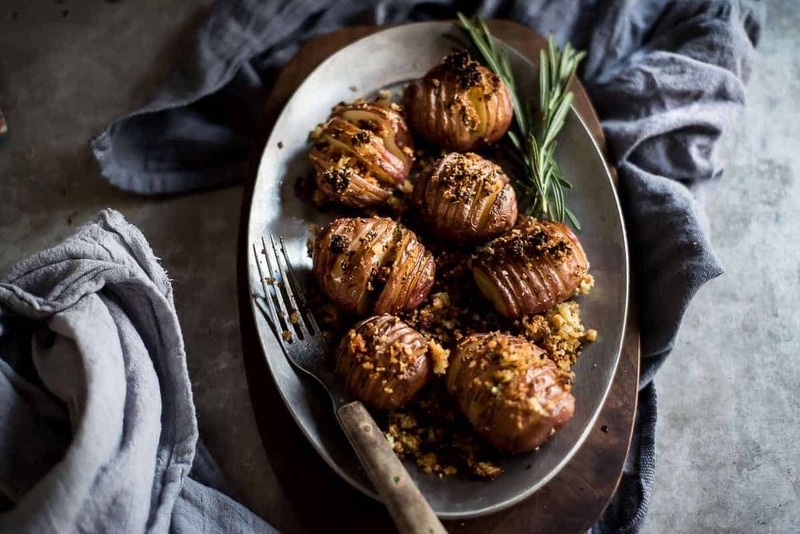 Oh- and enjoy these rockin’ Parmesan Hassleback Potatoes!